The subject of fat is an interesting one and worth talking about in some detail. It is worthy of note that some fats are beneficial to your health, and some kill you slowly, some raise bad cholesterol, and some lower it, some put on weight faster than Usane Bolt heading for the finish line, others can, if taken the right way, help you lose weight. Some fats are a heart attack risk, and some can actually improve heart health. I was going to use the analogy of Jekyll and Hyde to describe fats, but in actual fact they are more like the story of the mad professor who genetically alters a human to make him better, but instead he creates an evil monster. There are about 40 types of fats that are considered important for health but only 2 are considered vital for health. These are Omega 3 otherwise known as alpha-linolenic acid and Omega 6 , otherwise known as linoleic acid. All fats are converted to body fat if taken in excess, this is a natural mechanism to store energy for times of famine. If no famine occurs the fat store builds up ad obesity occurs. While only 2 types of fats are considered essential many types of fats have medicinal and health benefits. I am going to cover the basics concerning them in this article. Fats are classified according to structure. Saturated fats and unsaturated fats (divided into monounsaturated , polyunsaturated, artificial trans fats and natural trans fats). Saturated Fats are Lipids that have no double carbon bonds separating the molecules, this makes them denser than other fats. Examples of saturated fats are: cream, and ghee; tallow, land fatty meats. These fats are naturally hardened, they have health benefits if taken in moderation. These consist of monounsaturated- having one carbon bond between the carbon molecules and polyunsaturated– having more than one carbon bond between molecules. Mono unsaturated fats are found in red meat, whole milk products, nuts and high fat fruits such as olives and avocados. 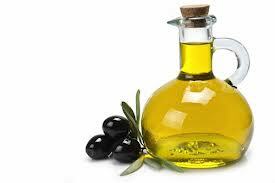 Olive oil is about 75% monounsaturated fat. Monounsaturated fats promote insulin resistance but are less useful for heart health. Polyunsaturated fats have 2 or more carbon bonds. The best sources of these are nuts, seeds, fish, algae, spirulina, leafy greens, and krill. Monounsaturated fats are good for energy and they also have a role in insulin sensitivity in Diabetics. Polyunsaturated fats have anti inflammatory properties that help with inflammatory diseases like arthritis, heart conditions and silent inflammation. Trans fat are polyunsaturated fats that have been treated to add one or more bonds between the carbon atoms and cause it to solidify. The original idea was to make a healthy fat that could be marketed like butter and boy was it marketed. So well was this type of fat marketed form the 50’s onwards that many people are still convinced it is the healthy alternative to butter. See more on that below . There is a natural form of trans fats, such as butter, cheese, lard, suet etc. These are called vaccenic acid they are an Omega 7 acid and have health benefits if taken in moderation, but it is very different to the artificial version. This form of natural trans fat actually can lower cholesterol. There, however, is no natural trans fat that comes from vegetable oils, so the vegetable oils are hydrogenated to make them solid like butter, this is based on the principle that margarine is a cheap and healthy alternative to butter, or that’s what the marketing gurus of the margarine industry have been telling us for years. In actual fact there is a problem with margarine. Not all vegetable oils are good for you. The four oils that are used to make 90% of margarine in the word are soy, corn, rapeseed and cotton. Firstly all of these crops are GM, secondly many people have a an intolerance of soy, rapeseed oil has been linked in some studies to a vitamin D deficiency and stunted growth children. All of these crops, but especially cotton are grown with a high useage of pesticides, herbicides and artificial fertilisers. The process of Hydrogenating involves a chemical process and high heat, first in the oil extraction, second in the cleaning process, to make the margarine more like butter, killing off most of the nutrients. The oils are often rancid in the first place, due to poor storage conditions. Nickel, a heavy metal, is used as part of the hydrogenation process. As a heavy metal it can accumulate in the body and overdoses of Nickel have been linked to lung cancer, nose cancer, larynx cancer and prostate cancer and heart disorders. Hexane is used in the original extraction process. Colourings are then added at the end of the process. Trans fats have a high heat tolerance and are used in cakes breads, pies, biscuits, pastry, margarine, practically every yummy thing you buy. The trouble is they raise your bad (LDL) cholesterol levels and lower your good (HDL) cholesterol levels. Eating trans fats increases your risk of developing heart disease and stroke. It’s also associated with a higher risk of developing type 2 diabetes. If you want cakes, make them yourself and use Butter or natural cold pressed oils like olive oil and sesame oil. Butter is good for you in moderation but any oil can be substituted though some are quite strong. If you don’t want a strong flavour use groundnut oil or cold pressed raw sunflower oil. I use humus in place of margarine and butter, you can also mash or blend avocado with cold pressed oil to make a tasty margarine and butter substitute. The real message of this blog is to be careful about the oil you eat, come are good, some are bad, take care.